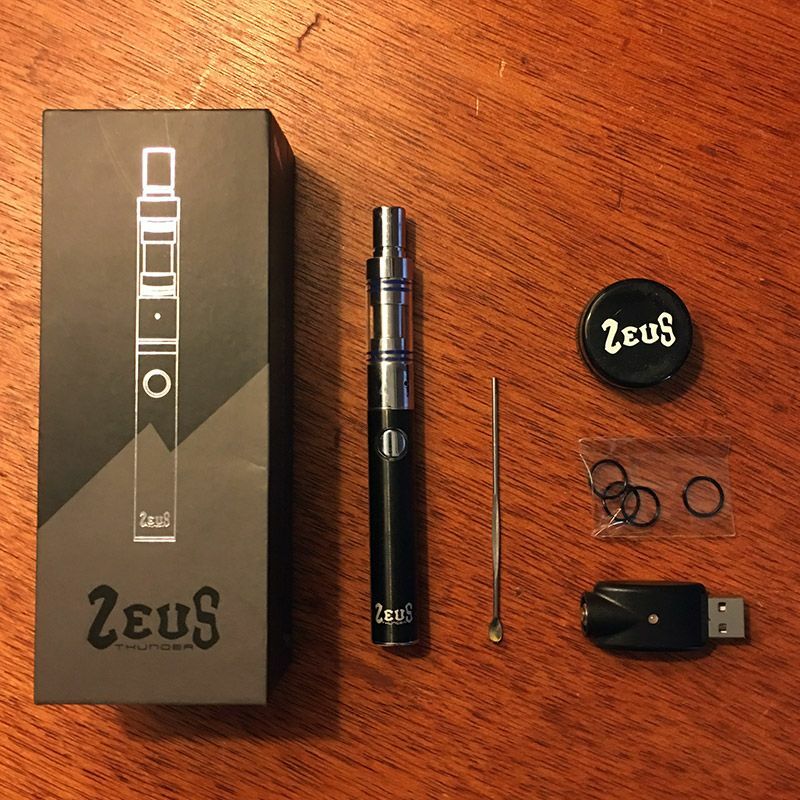 After storming the market with the Zeus Thunder Pen Vape, Zeus Arsenal has improved the design with the release of their Zeus Thunder 2 Wax Pen. 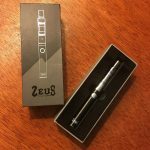 The Zeus Thunder vape pen is designed to work with wax concentrates and has a unique design that delivers consistent pulls every time. 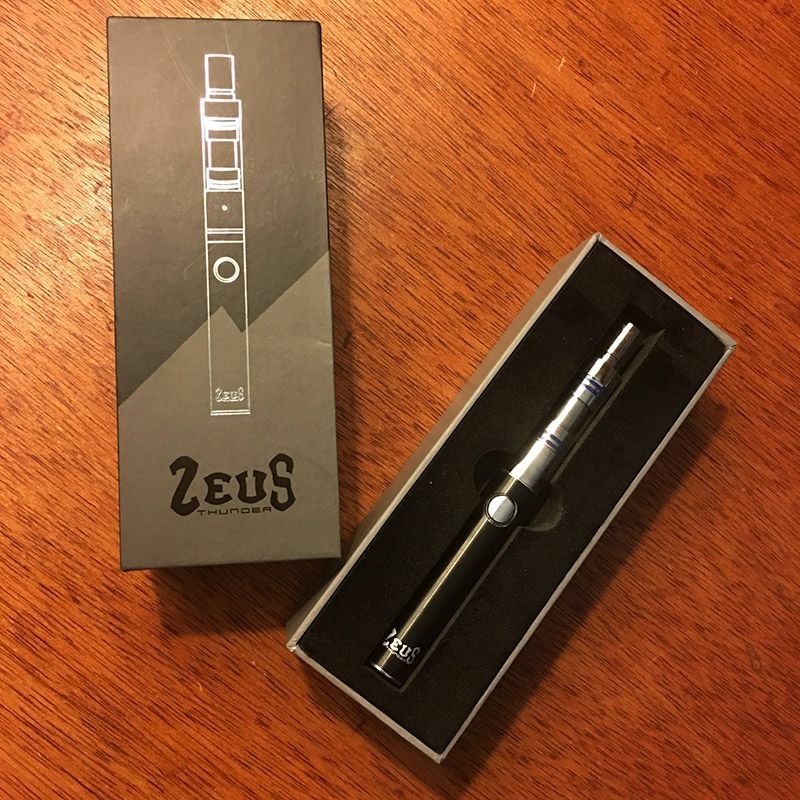 With a stainless steel body and black battery, The Zeus Thunder 2 Wax Pen is very sleek and discrete. Zeus Arsenal created this vape with the sole purpose of vaporizing wax concentrates, and the designers nailed it. 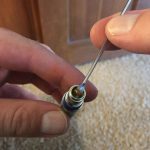 You can completely disassemble the wax vaping cartridge, which allows for easy cleaning and maintenance. The pieces are airtight and held in place with rubber washers. These washers can make it a little difficult to get the glass piece on over the ceramic chamber. 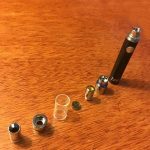 What differentiates the Thunder vape from most vape pens is the use of a ceramic atomizer chamber. Although, the use of ceramic is becoming increasingly popular. This wickless design allows the wax to be vaped at a lower temperature while providing smooth and flavor-rich pulls every time. We used a couple different types of wax concentrates as we tested out the Zeus Thunder 2 Wax Pen including some Amber Industries Mango Crumble and Pure Vape Mint Wax. We had the best experience with the crumble, as it was easiest to place at the bottom of the cartridge, on the ceramic plate. The pen is very easy to use. 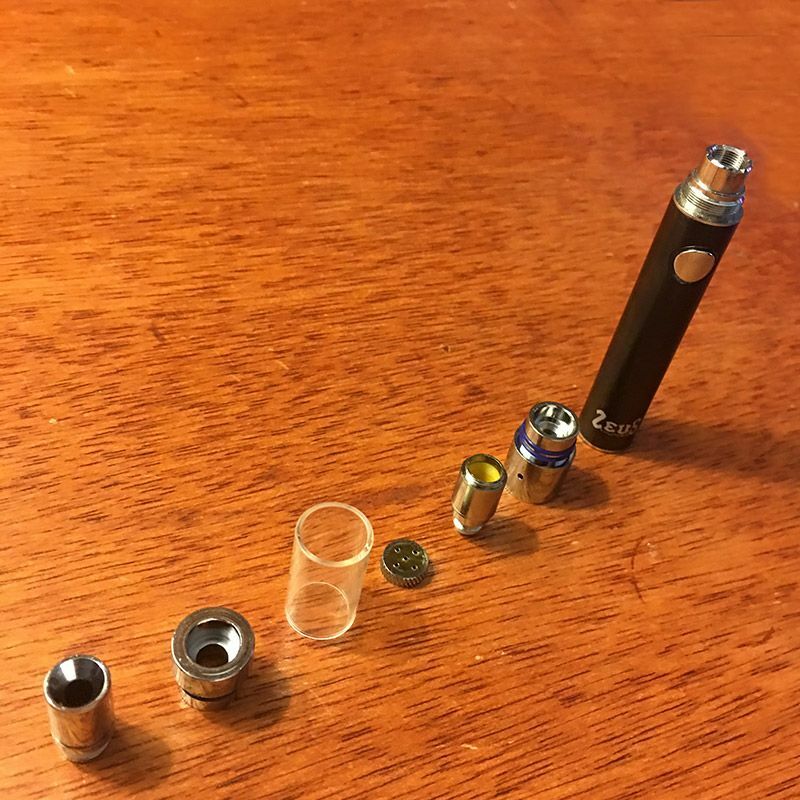 All the user has to do is pull off the glass piece, put the concentrate on the ceramic plate, put it back together, and hit it. We found it best to hold the button down for a couple of seconds before pulling to properly heat the concentrate. The airflow system could use some improvement. Because the airflow seems slightly restricted, we got decent pulls but had to inhale a bit harder in contrast to similar vapes that we’ve tried. 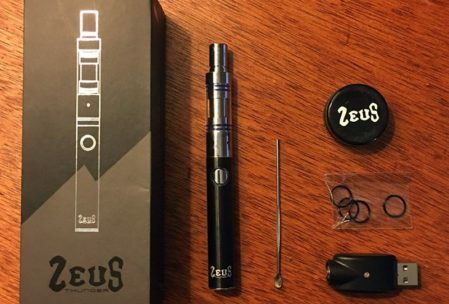 The Zeus Thunder 2 Wax Pen is available for purchase directly through the Zeus Arsenal website for $89.00. The battery is also backed by a 1-year warranty. You can follow Zeus Arsenal on Instagram @zeusarsenal for latest product updates.